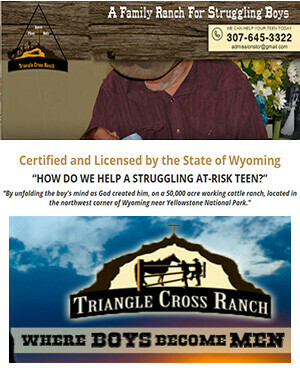 Triangle Cross Ranch Catholic Boy’s Home is a program for troubled teens that is owned and operated by a devout Catholic family that utilizes authentic cowboy experiences as a means to heal troubled and wounded youth and to instill in them a Christlike love. We hope that our family environment will help build the moral conscience of the boys and enable them to allow the light of Christ to thrive within them as a source of strength and illumination in an age of such frightening confusion and spiritual deprivation. We believe that the ranch activities that are included in our program will educate the mind, strengthen the body, and elevate the spirit of your child. A Life-Changing Experience for Struggling Troubled Teens, Parents, and the Entire Family. The troubled teen will also learn things about range management, natural spring development, and living a “simple” way of life. 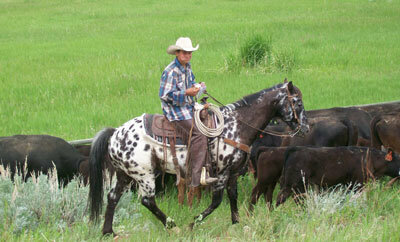 During these lifestyle changes, horses play an important role in the “real life” therapy for the troubled youth. Horses are used to motivate and help the young men to recognize and deal with their problems. As the young men develop a relationship with their new environment and become more knowledgeable and responsible, they will be allowed to participate in more of the daily chores and events that make ranch life a maturing and challenging experience. Please note: Our program is located on a remote rural ranch in back-to-basics, frontier-style buildings without any frills. If you want your son to appreciate and not take for granted what you have provided for him, then our Ranch is a great place to help him grow in appreciation and thanksgiving for all that he has received in his life. Young men that engage in our program leave with a deeper respect for authority, more self-discipline, and a new work ethic that will help them be successful in all areas of their lives, including attending college and entering the workplace. Triangle Cross Ranch Catholic Boy’s Home guarantees the success of our long-term programs for troubled teens. We have faith that our program for troubled teens will have a positive impact on all who attend them. If your at-risk teen should have a relapse after completing the Triangle Cross Ranch Eighteen-Month Long-Term program, we will accept your child back for a period of 3 months, free of charge. Call Triangle Cross Ranch today for more information. Business/Admissions Office (307) 213-7116 or reach us by email at admissionstcr@gmail.com.